Don't worry about picking up your equipment: we'll bring everything to your accommodations. When you're ready to go home, we'll meet you and pick everything up. It's really that simple and convenient. Your personal ski concierge will arrive on time to custom fit your equipment in the comfort of your own room. We also offer stylish ski jackets, pants and other accessories so you can travel light. Forget your goggles? Need some ski socks? We've got you covered! In the rare event that something happens with your equipment we are just a phone call away. Our rental techs can meet you to make any necessary adjustments or replacements and get you back on the slopes quickly. The only ski rental delivery service in the Canadian Rockies, Black Tie Ski Rentals of Banff offers convenient to-your-door ski rental delivery service for skiers and snowboarders staying in Canmore, Banff and Lake Louise. Our free rental delivery service enables guests to access the latest, premium equipment without having to ever step foot in a rental store. 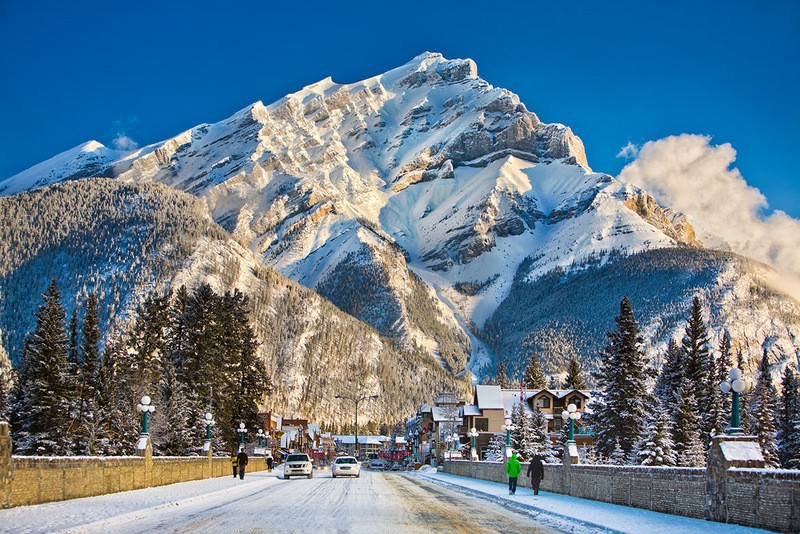 Nestled in the majestic Canadian Rockies in Canada’s oldest national park, the picturesque town of Banff offers up stunning views of some of the most photographed mountain vistas across the globe. Boasting three of Canada’s most recognized ski and snowboard resorts, Mount Norquay, Lake Louise and Sunshine Village, the ski areas offer up a combined 8,000 acres of pristine skiing in light, dry snow, and a ski season extending from mid-November through May.